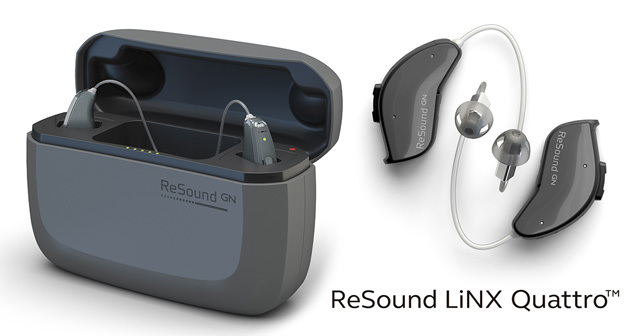 Visit us today for your free hearing screening and receive a 15% DISCOUNT on any ReSound hearing aid purchase. Hear what our satisfied patients have to say about their experience at our hearing clinic! Welcome to Advanced Instruments Hearing Aid Service of Vallejo! Our goal is to provide a warm, supportive environment, using state of the art technology to ensure your success. We are dedicated to enhancing the lives of our patients through education, personal training and ongoing support, with scheduled quarterly service appointments for the life of your instruments. We especially appreciate the support we have received from our patients. 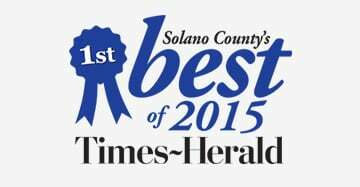 Voted the Best Hearing Aid Practice in South Solano County for 2011, 2012, 2013, 2015 & 2016. Our hearing is so important, since it connects us to our family, friends, coworkers and the world around us! Left untreated, hearing loss can have devastating effects on our emotional, social and physical well-being. When you come to Advanced Instruments Hearing Aid Service, we will discuss the communication challenges you face in your daily life and the options available to help you achieve better hearing at a reasonable cost. Whether you are needing a repair of your present aids or requiring new instruments, your needs will be thoughtfully considered and recommendations thoroughly explained. If new hearing instruments are needed a plan is agreed upon, the instruments are ordered and an hour long programming and training session is scheduled. At your delivery, the instruments are programmed for your hearing needs, their function thoroughly explained and you get to practice inserting and controlling them. A follow-up appointment is scheduled one week later. At your first and second follow-up appointments your progress is carefully monitored, adjustments made and counseling performed to ensure your smooth transition to being a good communicator once again. We provide a 45 day return or model change guarantee for your peace of mind. At Advanced Instruments you will always be scheduled for another appointment upon your departure. All quarterly cleaning appointments, yearly retesting, programming and drop-in emergencies are free of charge for up to 5 years. We work with all insurances, workman’s compensation, Partnership Health Plan, Medi-Cal, Department of Rehabilitation and Ear of the Lion. No one is turned away for lack of funds. Such is our commitment to our community. We offer a great selection of hearing aid products and accessories to fit your lifestyle. When we explore your case history and evaluate your hearing needs a comprehensive plan will be developed. 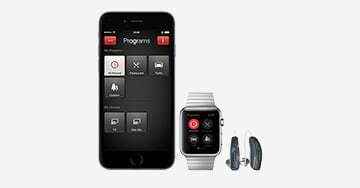 Your needs and lifestyle may require a streaming device to work with your hearing devices to hear your phone call clearly and easily, tv streamer or remote microphone for certain difficult environments. All options will be thoroughly explained and you will be given the chance to evaluate them on a trial basis. The hearing aid specialist who took care of me has really helped me hear better. It took me a few weeks to get comfortable with my new hearing aids, but she was very patient with me and I am hearing so much better. Bonny was very helpful all along the way. What a wonderful office! I am allowed to bring in my little dog and not have to leave her in the car. They even have treats for our dogs. Something to chew on instead of my hearing aids!. The staff is knowledgeable about hearing health and go out of their way to assist in any way they can. The office really cares about their patients. This is clear as soon as you arrive. The prices are better than most and the care is ongoing, free office visits and cleaning every 3 months.